Vintage music clips highlight the legacy of baby boomer favourite Jim Morrison, The Doors lead singer - Light My Fire, People Are Strange, Love Me Two Times, Hello, I Love You, Touch Me, Roadhouse Blues, Love Her Madly, Riders on the Storm. 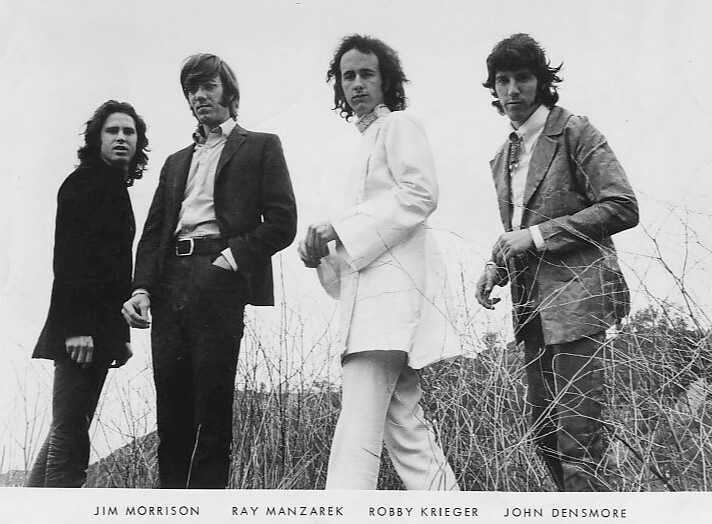 Below, the Doors in 1968 - from left, Jim Morrison, John Densmore, Ray Manzarek (seated), and Robby Krieger. 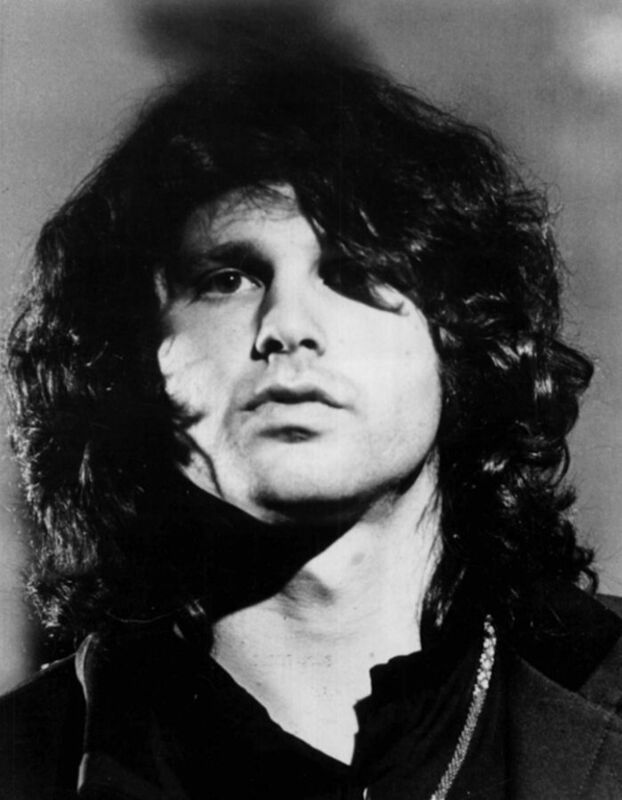 Although Jim Morrison "The Lizard King" died in 1971 at the age of 27, his musical legacy from his time with American rock The Doors has lived on in the decades since his death. Jim Morrison was born in Melbourne, Florida on December 8, 1943. His family was in the U.S. Navy and his parents used a form of military training tactic calling dressing down, which today would likely be seen as verbal abuse, to discipline their children as they grew up. When Morrison graduated from George Washington High School in 1961, the family was living in Alexandria, Virginia. Morrison's songs and poetry were influenced by his early interests in and extensive reading of, classical philosophers and poets, and Native American culture. 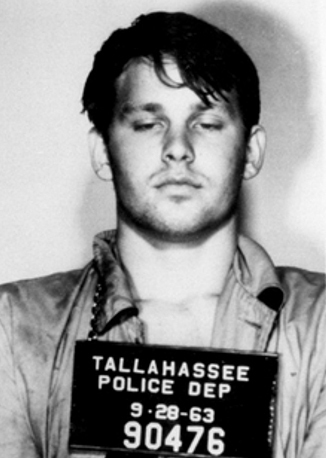 Morrison began his university career at Florida State University in 1962. His propensity for getting drunk and subsequently arrested was already coming to light; he was first arrested while drunk after a football game. Morrison transferred to UCLA and moved to Los Angeles in 1964 to start classes, graduating from the Theater Arts department in 1965. He wrote poetry, made short films, and cultivated friendships with writers at the Los Angeles Free Press. That summer Jim Morrison met fellow UCLA School of Theater, Film and Television student Ray Manzarek at Venice Beach, where Morrison was now living. Psychedelic drug use (such as LSD) was part of the baby boomer and Venice Beach culture, and was embraced by Morrison. Manzarek was a keyboardist for Rick & the Ravens, along with his brothers Rick and Jim; Morrison told him he'd been writing songs and sang Moonlight Drive for Manzarek. Jim Morrison soon joined the Manzarek's band, and it was renamed The Doors. By the end of that summer drummer John Densmore and bass guitarist Patty Sullivan (Patricia Hansen) had also joined the band. Rick and Jim Manzarek left The Doors and were replaced by guitarist and songwriter Robby Krieger. By this time, Morrison had broken off most contact with his family and would later claim they they were either dead, or he was an only child. He'd also met California girl Pamela Courson; they had in common a father in the Navy and a fondness for heroin and other drugs. Morrison had an open relationship with Pamela Courson until his death. The Doors began perfecting their songs and stage performances, and by 1966 were the house band at L.A.'s famed Whisky a Go Go nightclub, jamming with bands such as Them, with lead singer Van Morrison. In August 1966 the Doors were signed by Elektra Records on the strength of their performances at the Whisky a Go Go, and promptly fired from the nightclub when Jim Morrison told an obscene version of the Oedipus story mid-song. The Doors self-titled first album was recorded in August 1966 and released in January 1967. The band began touring and performing on stage and television to promote the album. 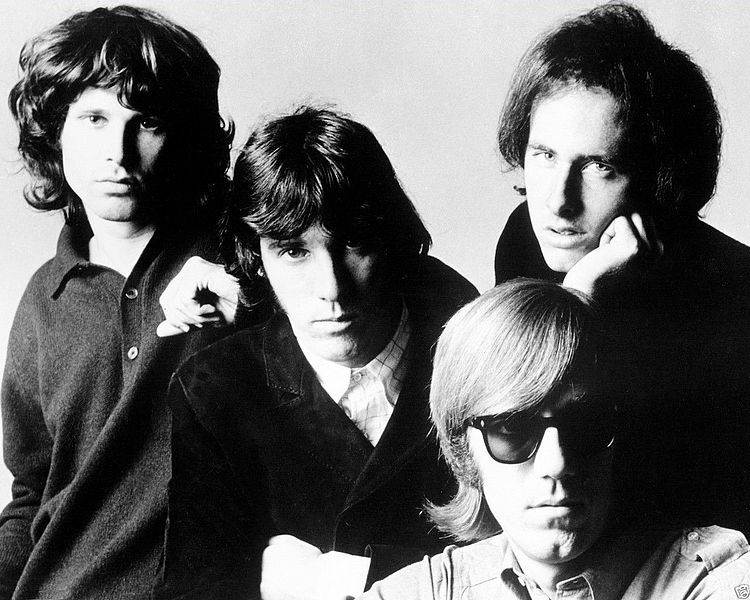 The first successful single from The Doors (1967) was Light My Fire (1967), primarily written by guitarist Robby Krieger (the first song he ever wrote), with help from the rest of the band and featuring lead vocals from Jim Morrison. Light My Fire became a # 1 US Hot 100 chart hit in July 1967. In September 1957 The Doors were invited to sing Light My Fire on what was to be the first of seven appearances on The Ed Sullivan Show, and they were asked to change the song line from "Girl, we couldn't get much higher," to "Girl, we couldn't get much better", which they did in rehearsal. During the live broadcast of the show however, Morrison sang the original line which angered Ed Sullivan. The remaining six appearances were cancelled and when told that The Doors would never appear on The Ed Sullivan Show again, Jim Morrison replied "We just 'did' Sullivan." Below, The Doors with Jim Morrison live on The Ed Sullivan Show in 1967, performing Light My Fire. In September 1967 The Doors second album Strange Days was released. The first single, People are Strange (1967) was inspired after a depressed Jim Morrison had gone for a walk in Laurel Canyon with bandmates John Densmore and Robby Krieger. By the end of the walk Morrison's mood had lifted and he'd composed the lyrics to People are Strange. The song made it to #12 on the US Hot 100 charts in 1967. Below, The Doors with Jim Morrison, performing People are Strange (1967) in a music film. Morrison ended 1967 with a public arrest on stage, the first time (but sadly, not the last time) that a rock musician was arrested during a concert. According to Jim Morrison's first biography, No One Here Gets Out Alive (1980) by Jerry Hopkins and Danny Sugerman, the incident started before the concert when Jim Morrison was in a backstage shower stall with a girl, and a police officer told them to leave. Morrison and the police officer's backstage dispute ended with Morrison being maced and the concert being delayed for an hour. Once onstage, Morrison started swearing and relating the story of the incident to the audience, and police officers around the stage dragged him off. He was charged with inciting a riot, indecency and public obscenity, but the charges were later dropped. In April 1968 The Doors began work on their third album Waiting for the Sun. By this time Jim Morrison had become dependent on drugs and alcohol, and the band's backlist of songs had been depleted by their earlier albums. From the Waiting for the Sun album, they recorded the single Hello, I Love You which had took lyrics from a poem written by Jim Morrison 3 years earlier (in 1965), after having watched a girl walking on the beach. When set to music and released as a single, Hello, I Love You was a hit with audiences. However, the U.K. courts decided a guitar riff from the song was too close to a Ray Davies guitar riff from The Kinks song All Day and All of the Night, and royalties for Hello, I Love You by The Doors go to Ray Davies. Below, Hello, I Love You (1968) from the album Waiting for the Sun, performed by Jim Morrison and The Doors live in 1968. During live performances by The Doors, interactions between the fans and police providing security began to get more violent. At the same time, Jim Morrison's drinking and drug abuse was escalating; he had also gained weight and sported a beard, paying less attention to his appearance. When The Doors toured in Europe in 1968, Jim Morrison collapsed on stage. The Doors returned to the U.S. and began recording their fourth album, The Soft Parade, in November 1968, in between touring and performing in concert. Morrison was becoming increasingly unreliable and difficult to work with. In Miami in March 1969, a Doors concert was delayed for an hour because an already drunk Morrison was late arriving; once onstage, he began berating fans and disrobing. The crowd responded in kind. Jim Morrison was convicted of profanity and indecent exposure in September 1970, and sentenced to six months in jail with hard labor plus a fine (he was not jailed, pending an appeal). Incidents such as this almost broke up The Doors, and led to concerts being cancelled by promoters and reduced airplay on radio - but they did eventually complete the album, and The Soft Parade was released in July 1969. The Doors first single from that album was Touch Me (1969), written by Robby Krieger. The song went to #3 on US Hot 100 charts. Below, The Doors with Jim Morrison singing Touch Me live on The Smothers Brothers Comedy Hour, December 1968. The Doors fifth album Morrison Hotel was released in February 1970 and contained songs written almost exclusively by Jim Morrison,. Although Morrison Hotel was critically hailed by rock and roll critics and reached #4 on the album charts, it yielded only 1 Top 100 hit, the #50 Roadhouse Blues (1970), written by Jim Morrison. In July 1970, Absolutely Live, The Doors first live album - and the only live album to be released while Jim Morrison was alive - was released. Below, Jim Morrison and The Doors performing Roadhouse Blues live in a wild 1970 concert. The Doors began working on their sixth album, L.A. Woman, in late fall of 1970 in Los Angeles. The title track L.A. Woman and 7 other songs on the album were written or co-written by Jim Morrison. While onstage with The Doors on December 12, 1970, Jim Morrison broke down and refused to continue the concert. The other members of The Doors agreed after the concert that they would no longer have live concerts, as Morrison was unable to continue performing. Recording the L.A. Woman album was completed in a record six days with minimal e-takes and overdubs; Jim Morrison was excited about the inclusion of his idol Elvis Presley's bass guitarist Jerry Scheff in the recording sessions for the album, showing up on time and reducing his alcohol intake. Morrison moved to Paris, France in March 1971 with his girlfriend Pamela Courson, anxious to get away from L.A. and to pursue the life of a writer and poet. The Doors last studio album with Jim Morrison, L. A. Woman, was released in April 1971 and yielded 2 Top 20 hits. Below, The Doors Love Her Madly (1971), written by guitarist Robby Krieger, made it to #11 on the Hot 100 charts. Riders on the Storm (1971) #14 written by The Doors, from the album L. A. Woman. On July 3, 1971, Jim Morrison's girlfriend Pamela Courson found him dead in the bathtub of their Paris apartment. Although a heroin overdose is the most likely scenario, the medical examiner found he died of a heart attack and no foul play was suspected, so no autopsy was performed. Morrison is buried in Paris, in the Poet's Corner of Père Lachaise Cemetary. Jim Morrison was only 27 years of age at his death; three years later when his girlfriend Pamela Courson died of a heroin overdose, she was also 27.